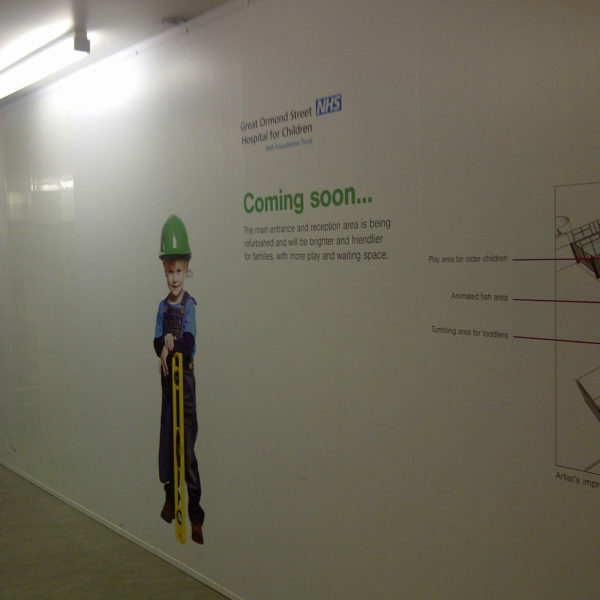 Westgate supply and install a range of temporary internal dust and construction screens, used by hospitals during fit out and construction projects. 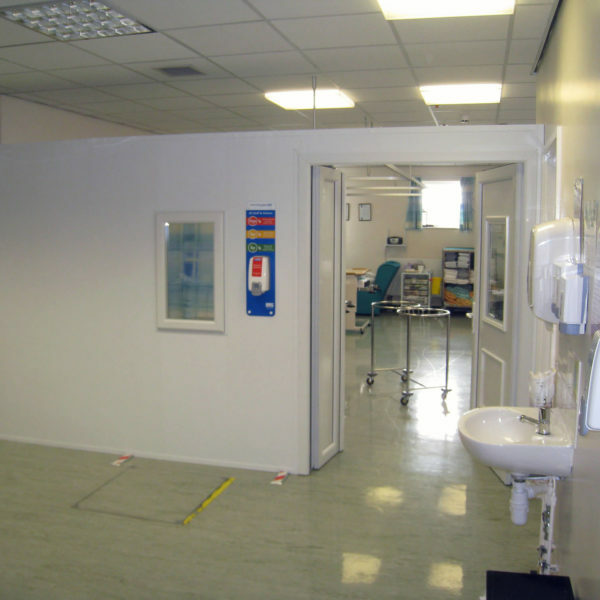 Hoardfast is a free-standing or floor-to-ceiling, modular partition used to segregate patients and staff from short or long-term development projects. 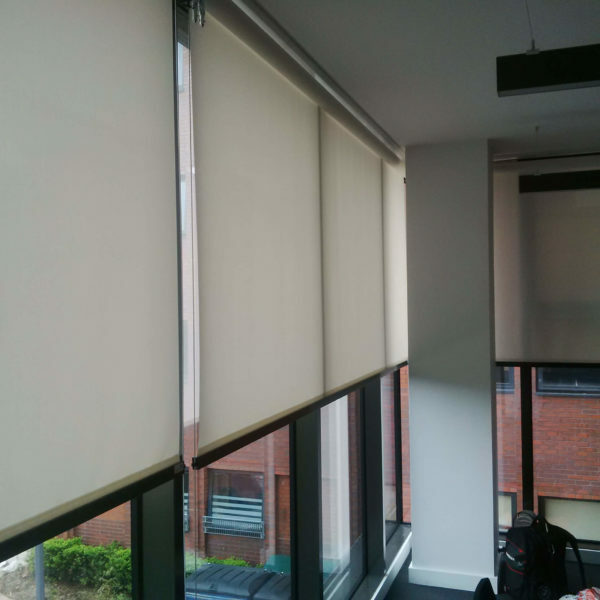 Westgate also supply and install a range of window film and blind solutions, to find out more about these or Hoardfast visit the popular industry products section below. Westgate provided Hoardfast PVC for Great Ormond Street Hospital to create a dust tight seal whilst the reception and entrance were refurbished. Leighton hospital required 2 way privacy film beacuse of overlooking buildings. 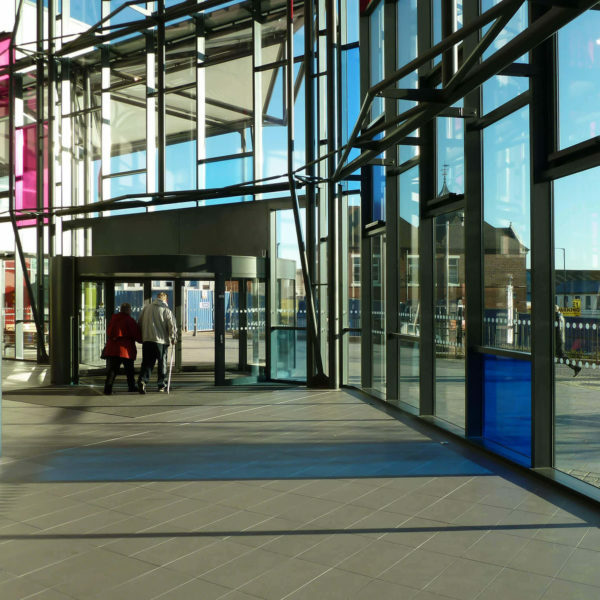 Westgate provided their Easifilm as a solution to the hospitals requirements. 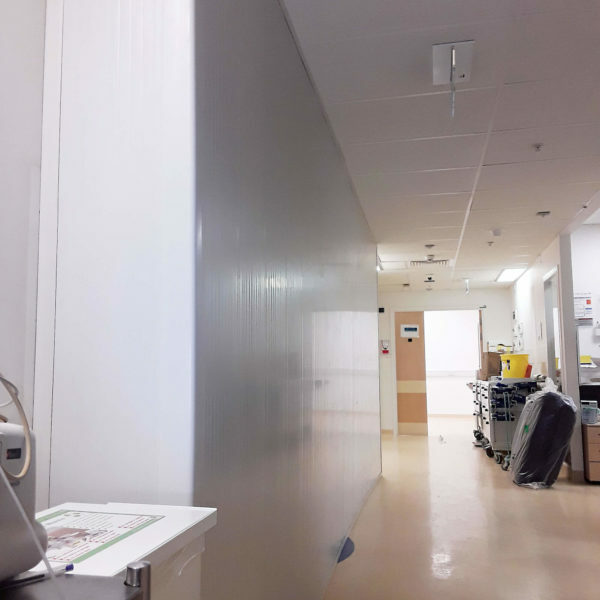 Cannock Chase Hospital used floor to ceiling Hoardfast which ensured a dust tight seal to prevent contamination whilst renovating some wards.